Custom Printed Malibu Gaming Glasses are exciting promotional gifts for electronic stores, businesses and also various brands related to eye care, electronic devices and displays. The biggest highlight of these custom Malibu sunglasses is the Anti-Reflective Coating on Lenses which deliver better vision, less eye strain and also better look. Made of polycarbonate material, these new arrival sunglasses are featuring UV400lenses and also 2" W x ¼" H imprint area. Order these CPSIA compliant promo items quickly to grab our free online proofs, free design and nest price guarantee offers. 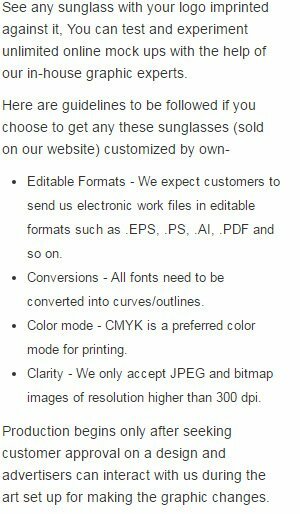 Request a quote to know what you can save on ordering Custom Printed Malibu Gaming Glasses.